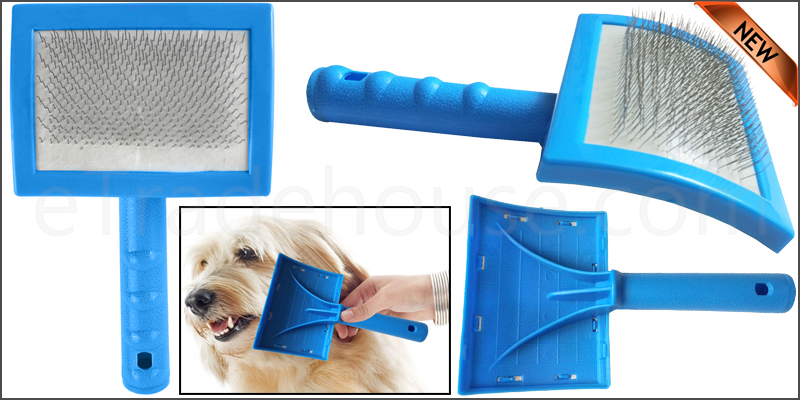 Dog Puppy Cat Pet Hair Shedding Grooming Trimmer C.
Suitable for all breeds of dog / cats other pets. Bristles are made from Strong Steel Pins which helps to remove Knots & Dirt. Outer Material: Plastic Cushioned head. 1x Cat, Dog Pets Hair Grooming Brush.